As the fateful bombing mission commenced half a world away, the anxious president waited for news at sea in the Atlantic. The first night at sea, Truman’s party gathered at 8:30 p.m. in Secretary of State James F. Byrnes’s cabin for a movie—Wonder Man, about a nightclub owner who gets murdered by gangsters and comes back as a ghost to haunt his killers. Truman skipped the film and stayed in his cabin. One can imagine him staring at the ceiling, exhausted and tense from anticipation of an explosion that would soon change the world. He had told himself in his diary, days earlier, that “military objectives and soldiers and sailors are the target and not women and children.” Surely he knew that this bomb, as technologically marvelous as it was, did not have the sentience to separate military individuals from civilians. He could only hope that it would serve its purpose: to end the war, to save lives. In the Far East, Japan continued to burn, the result of the U.S. Army’s B-29 firebombing raids of cities such as Mito, Fukuyama and Otsu. On August 2, the day Truman started his transatlantic journey home aboard the Augusta, Major General Curtis LeMay’s 21st Bomber Command struck the enemy with what the New York Times called “the greatest single aerial strike in world history.” Nearly 900 B-29s pounded targets with 6,632 tons of conventional and incendiary bombs. The flames engulfed miles of Japanese cities. These attacking planes saw no opposition. 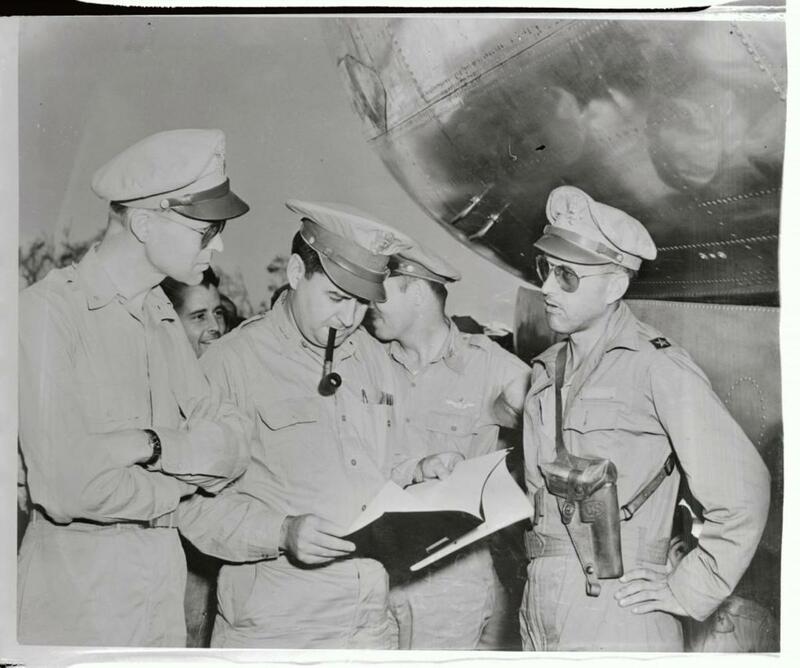 As the Augusta pushed deeper into the Atlantic, Truman’s curiosity over the bomb grew excruciating. Given the secrecy of the mission, he received no updates. 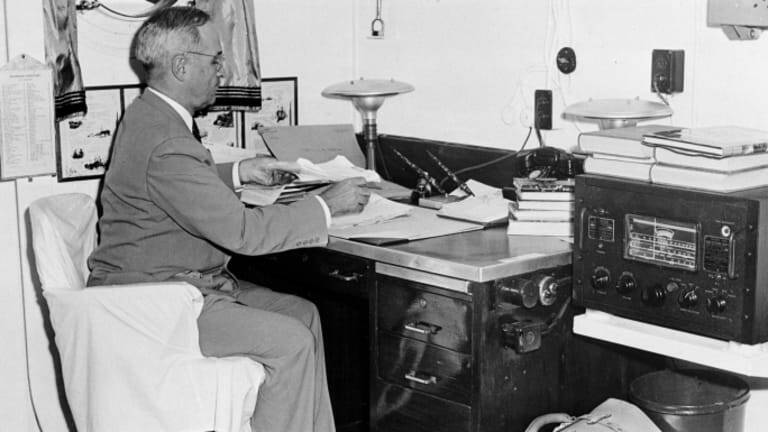 At one point, the Augusta’s Advance Map Room cabled the White House inquiring about any news of “the Manhattan Project.” White House Map Room operatives responded that they could find no evidence of any such project. From his headquarters on Guam in the South Pacific, at 2 p.m. on August 5, General LeMay, who had overseen the recent firebombing of Japan’s important industrial cities, gave the final go-ahead for the 509th wing to fly the secret mission the following day—August 6. Only recently had LeMay learned of the bomb. A special messenger had flown to his headquarters on Guam to brief him. “I didn’t know much about this whole thing and didn’t ask about it, because it was so hot,” LeMay recorded. “Didn’t wish to have any more information than it was necessary for me to have.” He had orders as to the first bomb’s primary target: Hiroshima. 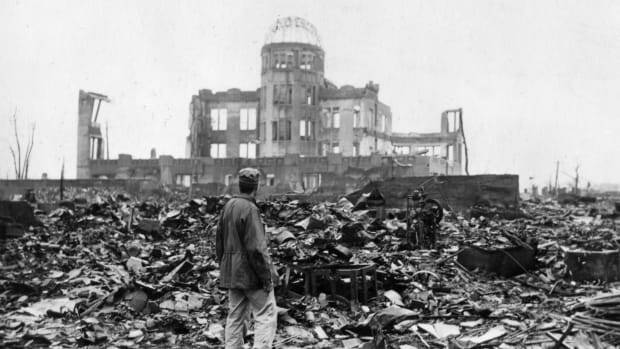 According to intelligence sources, Hiroshima was “an Army city . . . a major quartermaster depot” with warehouses full of military supplies. Intelligence sources also found that Hiroshima had no POW camps, so the Americans could be relatively sure they would not be bombing their own men. LeMay’s command had not yet hit Hiroshima. It was a thriving city and a virgin target, with a population of 318,000, according to American intelligence. On the afternoon of August 5, on the island of Tinian, army officials pushed the Little Boy bomb out of a warehouse at the airfield. 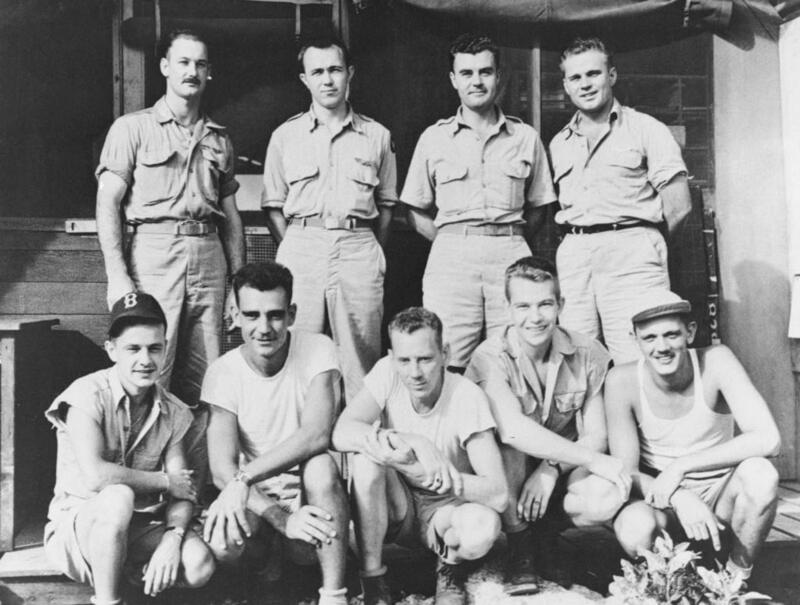 A dozen men in short-sleeved tan uniforms gathered around it wearing expressions of concern, wheeling Little Boy on a platform as if it were a patient on a hospital gurney. It was roughly egg-shaped, with a steel shell and a tail poking out the back to guide its trajectory. One of the men working at Tinian that day described it as looking like “an elongated trash can with fins.” When it came to the Manhattan Project, everything was experimental. Little Boy employed a different gun mechanism than the one used in the Trinity atomic test, which had successfully gone off in New Mexico roughly two weeks earlier, so there was no certainty that this weapon would work. The Tinian airbase was itself an industrial marvel, an emblem of American ingenuity. A year earlier, most of this little island was covered in sugarcane. Now it was home to the largest airfield on earth. The airport had been built to serve one purpose above all others: Little Boy. On the afternoon of August 5, army personnel eased the weapon through open bomb-bay doors into the belly of a B-29 Superfortress, using a hydraulic lift. That very afternoon the pilot of this B-29, Paul W. Tibbets, had named the airplane Enola Gay, after his mother. Surely Mrs. Tibbets had never dreamed that her legacy would carry such historical import, for the Enola Gay was about to become the most infamous military aircraft ever known. It would fly as part of a seven-plane task force—all B-29s—including three for weather recon, one carrying blast-measurement equipment, one for camera equipment and observation, one spare aircraft and the delivery plane itself, the Enola Gay. 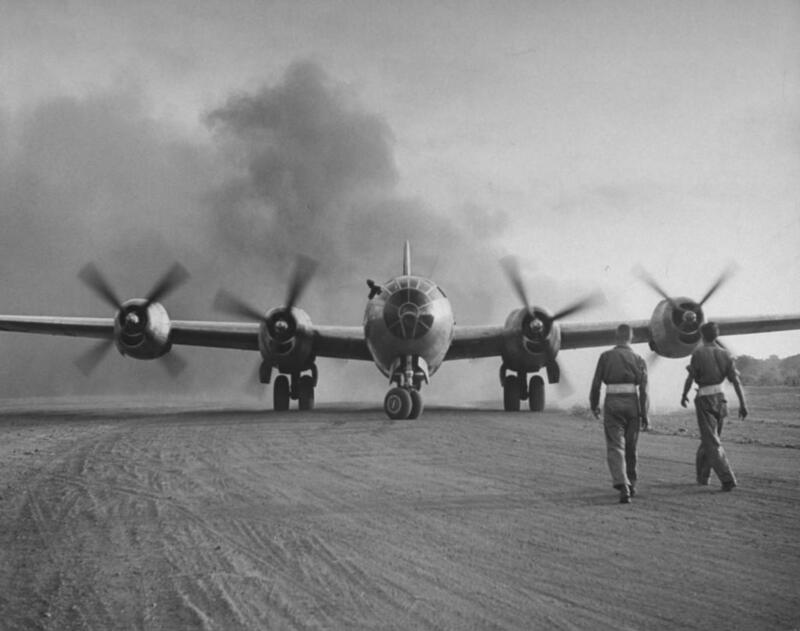 At 2:45 a.m., the Enola Gay’s wheels left the ground. 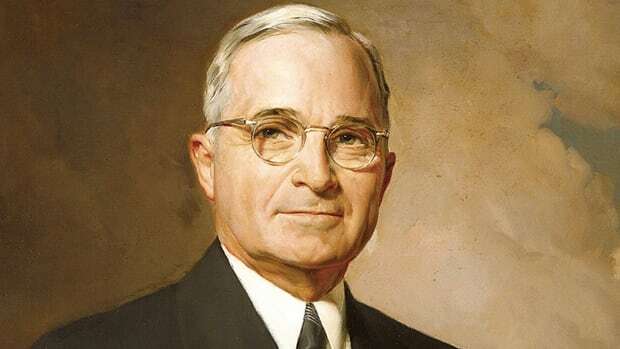 By the time Truman sat down to dinner at 6 p.m. on August 5, the Enola Gay was rendezvousing with two escorts over the island of Iwo Jima at 9,300 feet. In the South Pacific, the sun was just rising on August 6. 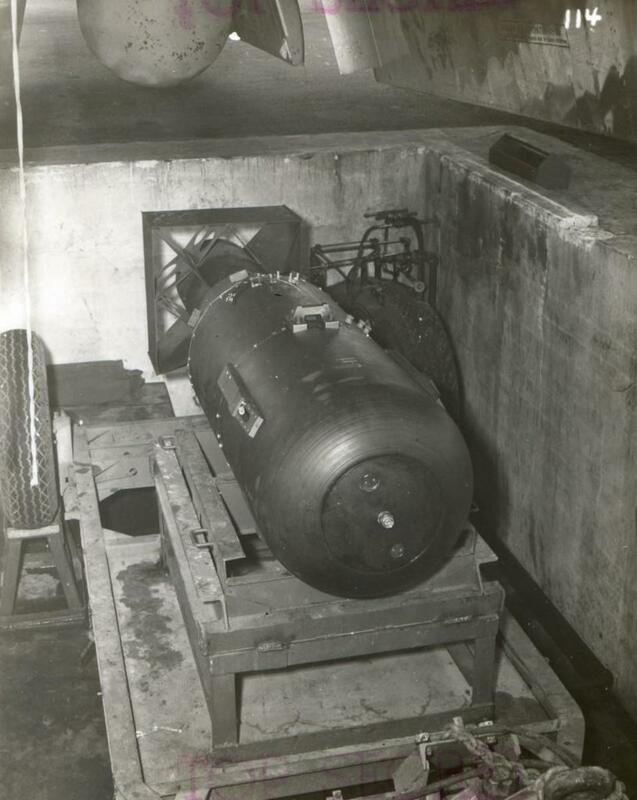 At 7:30 a.m., William Sterling Parsons—the ordnance expert who had worked on the bomb at Los Alamos, and who was now aboard the Enola Gay as the weaponeer—climbed down to the bomb bay and armed Little Boy, pulling out green plugs and replacing them with red ones. Weather was clear, so Tibbets decided to gun for the primary target. 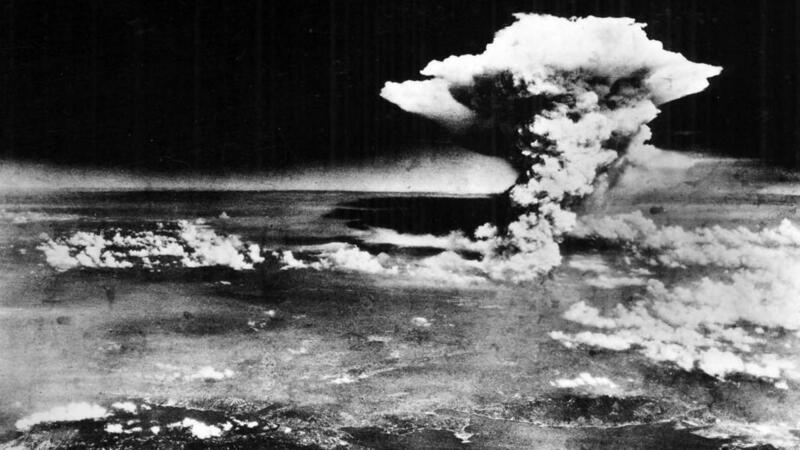 “It’s Hiroshima,” he announced over the intercom, throttling the Enola Gay upward to 31,000 feet. The crew slipped on heavy flak suits, and Tibbets reminded them to don their heavy glasses at the moment of detonation. At 8 p.m. on August 5 aboard the Augusta, the evening’s film presentation began—The Thin Man Goes Home, starring William Powell and Myrna Loy. Again, Truman did not attend. He might have been playing poker, or staring at the ceiling of his cabin, or perhaps still praying, alone. Aboard the Augusta, Truman went to bed that night likely within an hour or two after detonation. At 1 a.m. (now August 6), the ship crossed into a new time zone in the Atlantic and the officers set clocks back one hour. Truman awoke to a beautiful quiet day at sea, the sun bright and warm. The ship’s officers shifted to warm-weather uniforms: khaki and gray, with the crew in white, due to the Gulf Stream’s temperate breezes. After breakfast, Truman relaxed on the deck and listened to the ship’s band play a concert, unaware at this moment that Hiroshima had been all but wiped off the planet. In Washington, assistant press secretary Eben Ayers gathered reporters working their usual White House beat. Ayers had been briefed about the bomb a few days earlier, and warned to keep it top secret until further orders. Now it was go time. Press secretary Charlie Ross had cabled from the Augusta that it was time to release the president’s statement. Ayers called out to the newsmen. Immediately, American and British news sources began monitoring Japanese radio, where already, cryptic announcements were being made—rail service in and around Hiroshima had been canceled, and the scene in that city was under investigation. That afternoon a curious scene unfolded aboard the Augusta. At 3:30, less than four hours after the president received word of Little Boy, Truman and members of his party sat watching a boxing program on the ship’s deck, with the Gulf Stream’s warm breezes swirling their hair. Surely the words of his atomic-bomb statement were still echoing in his head. 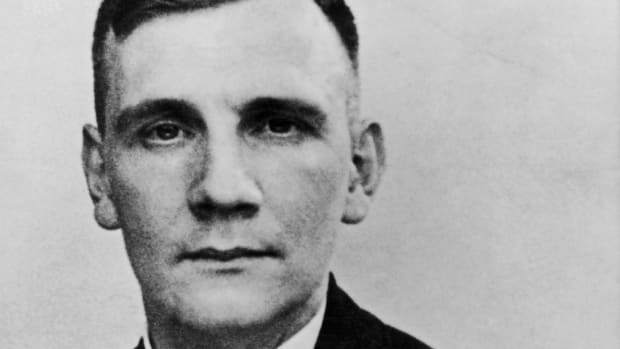 He understood that the bomb had ushered in not just a new era of humanity’s understanding of nature’s forces, but also a new understanding of humanity’s capacity for self-destruction. Maybe the bomb would win the war. But at what cost? From THE ACCIDENTAL PRESIDENT: Harry S. Truman and the Four Months that Changed the World by A.J. Baime, to be published on October 24, 2017 by Houghton Mifflin Harcourt. Copyright © 2017 by Albert Baime. All rights reserved.